Lawyers for Curt Schilling say the Rhode Island Economic Development Corporation knew what it was doing when it threw tens of millions of dollars at the Kingdoms of Amalur studio. 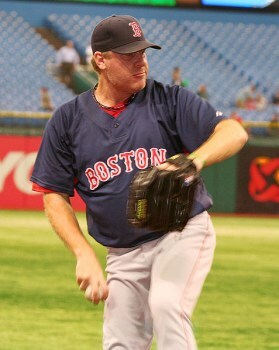 In a November 2012 lawsuit filed against former Red Sox ace and 38 Studios founder Curt Schilling and other former executives, the Rhode Island Economic Development Corporation stated that the company "failed because of risks that had not been disclosed to the EDC Board, but were or should have been known by... 38 Studios, and defendants Schilling, [board member Thomas] Zaccagnino, [Chief Financial Officer Richard] Wester and [former CEO Jennifer] MacLean." According to a new filing made by lawyers representing the defendants, however, 38 Studios executives "repeatedly disclosed" the company's financial requirements to EDC officials, who nonetheless elected to hold back some of the $75 million it needed. In fact, the resolution passed by the EDC board in support of Schilling's company indicated the that the estimated cost of making the Kingdoms of Amalur MMO would ultimately exceed $125 million. "Given the EDC's admissions concerning 38 Studios' disclosures to the EDC's executives, attorneys and financial advisor, it is impossible for the EDC simultaneously to claim that the 38 Studios defendants supposedly defrauded the EDC," the filing says. It also notes that the lawsuit does not prove that anyone at the studio made false claims about the state of the company. Schilling said last summer that the 38 Studios debacle had "tapped out" the fortune he earned in his baseball career. In February he was forced to sell the bloody sock he wore during game 2 of the 2004 World Series, which went for a little shy of $93,000; the EDC lawsuit against Schilling doesn't specify a dollar amount but wants him and other former executives to repay the bonds issued to the studio and also seeks triple damages. With interest, the collapse of the studio left Rhode Island holding approximately $100 million in bad debt.